I was a Pan Am Stewardess! 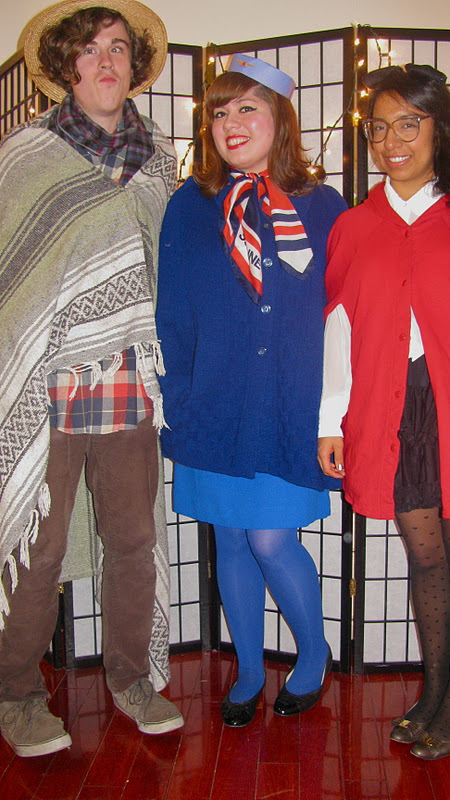 I wore a vintage blue dress and scarf I already owned. 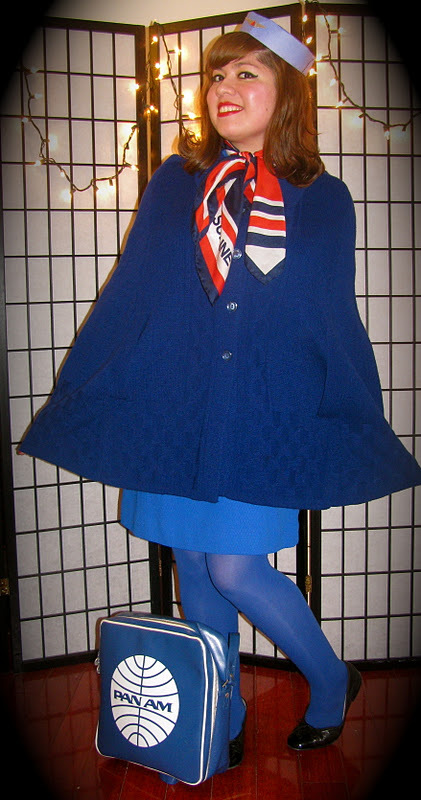 I also happened to have recently bought a blue cape from Beacon's Closet that matched perfectly. 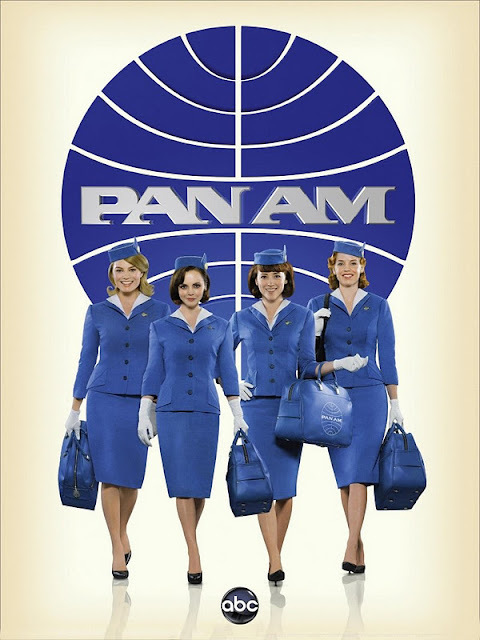 The "piece de resistance" and what really made the costume was my Pan Am bag. 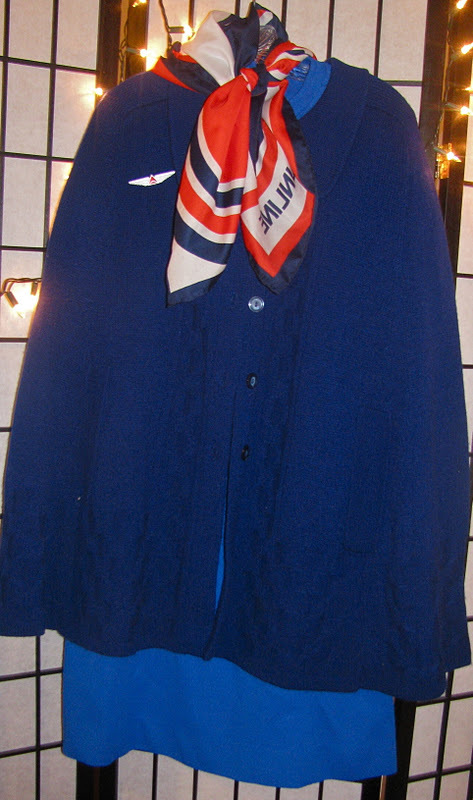 When I saw it at work, I knew it would be the perfect costume! Plus it's been great for lugging my computer around. I made the pill-box hat out of blue construction paper and stuck a Delta pin on it. I had been looking around for a vintage blue hat with no result. This actually worked perfectly though. 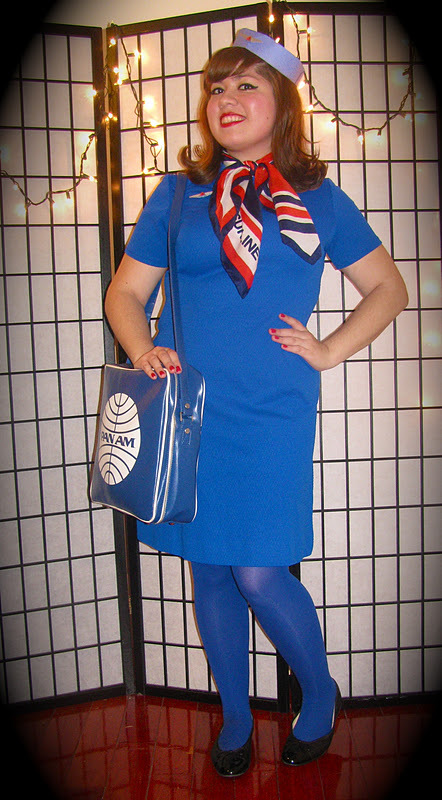 It was kind of hilarious how I ended up wearing about three different airlines on me...a Sunline scarf, Delta pins, and a Pan Am bag. I kind of love these cheesy old-timey edges. My roommate was the illegitimate child of Little Red Riding Hood and the Big Bad Wolf. My farmer friend Jason joined us in our last photo!